While many view minifigures of the LEGO or OYO persuasion as simple toys, some can actually command very strong values. Outside of these rare pieces, like most basic collectibles, collectors still want to make sure they are properly organized and cared for even if they aren't worth much. The following Ultra Pro Minifigure Display and Storage Guide aims to help make that process easier with a look at the options that are available. Click on the listings or images to shop for displays online via eBay. Ideal for setting a specific scene with your OYO or LEGO figures, the Ultra Pro Premium Minifigure Display Case includes both a building base and a clear cover with locking clips. The acrylic cover is handmade and is great for keeping the dust out or preventing sneaky pets or children from swiping your minifigures. Not just limited to LEGO-type products, the black base can actually be flipped to reveal a flat surface which can hold other small figures such as Funko Mystery Minis or other items that are less than 3" tall. It also has a raised edge that keeps the non-LEGO figures from sliding out while you are adding or removing them. The primary pegged surface is 10 by 50 pegs. 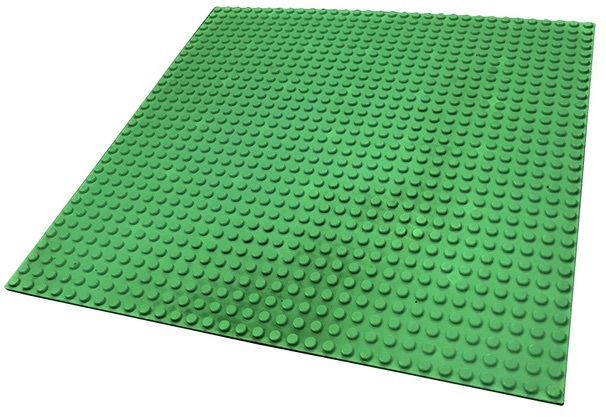 A more simple solution for OYO and LEGO storage and display, the Ultra Pro Black Building Base has a familiar green color and comes in packs of four. Although it does not offer any cover, the larger size and square shape makes it easier to organize larger collections. Each base plate includes dimensions of 32 by 32 pegs. 5 Ultra Pro Semi-rigid Figure Display - Funko Pops Case!